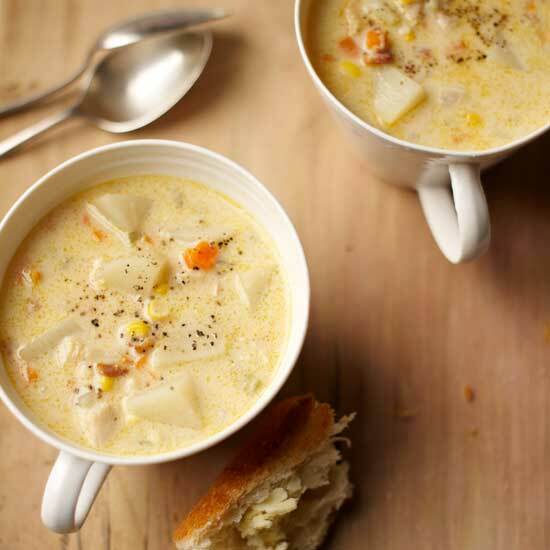 The celebrity chef shares his delicious recipes, from fettuccine with spicy shellfish to overstuffed twice-baked potatoes. This renowned baked oyster dish was created at Antoine's Restaurant in New Orleans in 1899 by the proprietor, Jules Alciatore. 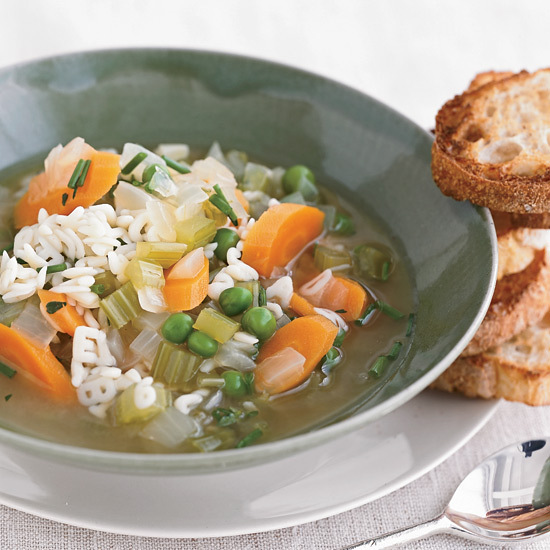 According to legend, the dish was created as a substitute for baked snails, which were hard to obtain from France. 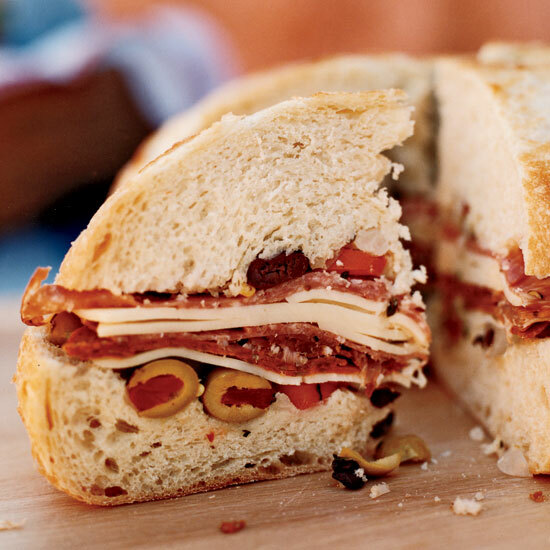 It was named in honor of John D. Rockefeller, at that time one of the world's richest men, because of the sauce's intense richness. 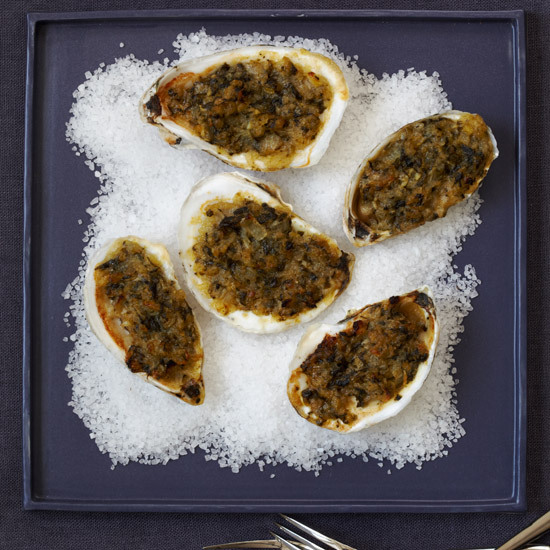 The following recipe is the old Delmonico restaurant's take on the dish, with the Rockefeller sauce base used not only to make the Oysters Rockefeller appetizer, but also used as a spread on toast to create canapés. 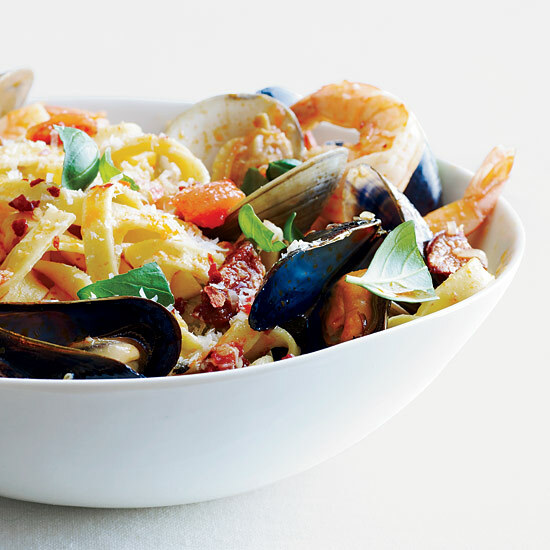 Emeril Lagasse's hearty pasta is packed with fresh shellfish and spicy chorizo. 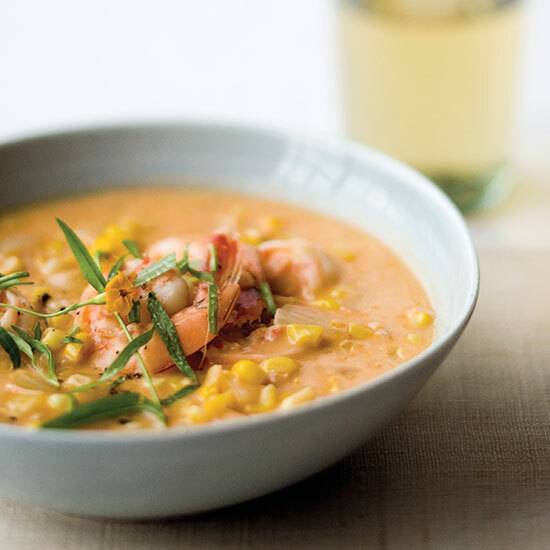 Emeril Lagasse, star of Food Network's The Essence of Emeril, uses a rich, homemade shrimp stock here, which makes all the difference in this creamy, corn-flecked shrimp soup. "These potatoes are so large and filling that we have customers who order this as their entrée," says Emeril Lagasse. 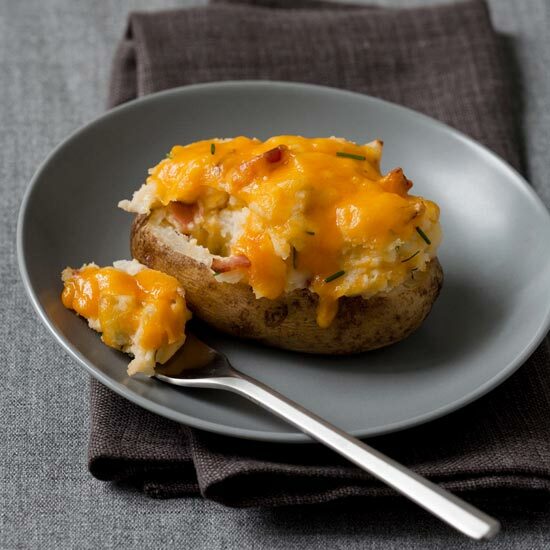 "The reason we call them overstuffed is that we add an extra baked potato to the stuffing mixture, but if these seem too large for you, then bake and mash only four (instead of the five used here), or use smaller potatoes." Natural-style apple juice—less filtered than regular—is high in vitamin C and antioxidants. 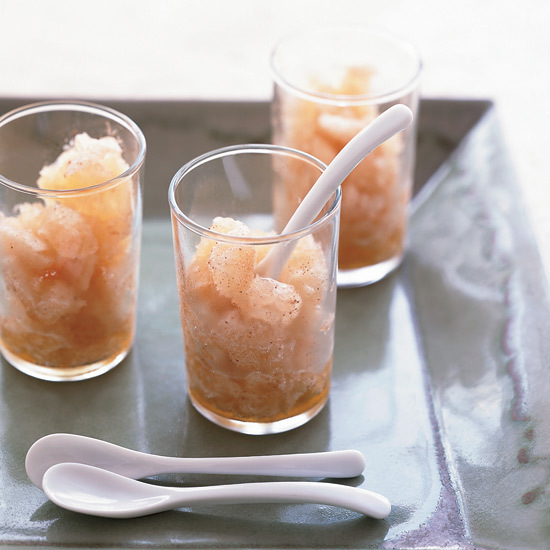 Here, Lagasse transforms it into a refreshing granita. Grilling is a fat-free way to cook omega 3-rich shrimp. 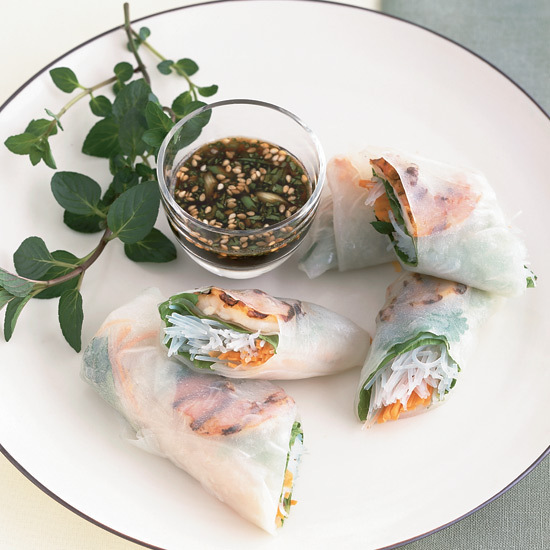 "And kids love rolling food in rice paper," Emeril Lagasse says.